Gypsum Style is a mid-priced women's clothing store — primarily featuring trendy casual wear. ShopSleuth found 117 women's clothing stores similar to Gypsum Style, out of our database of 45,744 total stores. The following stores offer the closest match to Gypsum Style based on our proprietary matching algorithm. Submit your vote below to help us refine our Similarity Scores and rank the stores and brands most like Gypsum Style! The Impeccable Pig is a women's clothing boutique based in Dallas, TX. The Impeccable Pig sells fashion forward, casual clothing and accessories at moderate prices. 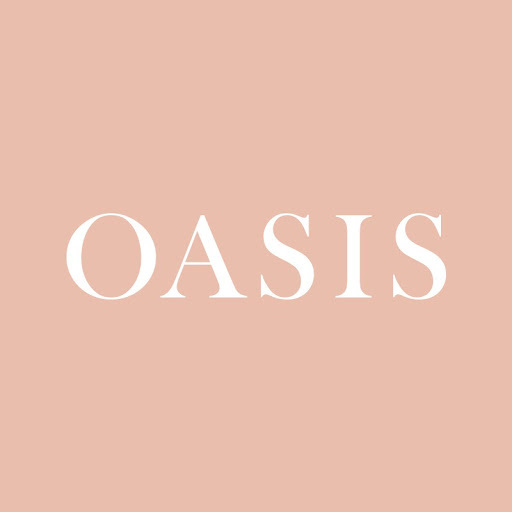 Oasis is a young women's fashion retailer that offers on-trend looks at affordable prices. Oasis carries dresses, jumpers, casualwear, footwear and accessories. Global fashion online retailer, women's apparel, shoes and accessories, over 100 brands, inspired by street fashion of downtown and uptown girls around the world. Vintage Havana is a street-contemporary apparel brand for women and children. Vintage Havana offers apparel designed with the most up-to-date fabrics, prints and body styles. Daisy Shoppe is a California based retailer that sells casual clothing and accessories for women. Daisy Shoppe is also known for its collection of home décor accents and wedding accessories. Déjà vu is a brand for the trend-conscious woman. The clothing and accessories draw inspiration from feminine and bohemian styles, but give them a modern twist. Garage is a girls apparel and accessories retailer in Canada and the US. Garage offers effortlessly stylish denim, apparel, jewelry and sunglasses. Dry Goods is a fashionable women's clothing and accessories retailer. Dry Goods offers an ever-changing selection of on-trend apparel. Icon is a women's clothing and accessories boutique that sells trendy, fashion forward products. Icon designs apparel for celebrities and offers a range of casual and dressy looks for real women. heartbreaker designs fashion forward, youthful separates for young women. Heartbreaker carries a large selection of apparel, shoes and accessories. Langford Market is an online retailer of youthful fashion for women. Langford Market offers a curated selection of classically feminine clothing, accessories and gifts. Aritzia is a women's fashion boutique that prides itself on innovative design and quality merchandise. Aritzia carries 14 exclusive brands including Babaton and Sunday Best. Get Gussied Up is a women's clothing, footwear, and accessories boutique based in Texas. Get Gussied Up sells casual products with a relaxed sense of style and a bit of country girl attitude. Tree of Life is an eclectic, fashion-forward Bohemian fashion brand for men. Tree of Life apparel appeals to women of all sizes, genders and religions. American Threads is a casual women's retailer that sells boho inspired clothing and accessories. American Threads is inspired by the beauty of being a wild, free spirit. A Thread is a clothing retailer that offers fair pricing and fashionable finds. A Thread specializes in dressy and casual separates, jewelry and accessories for stylish young women. Akira is a Chicago boutique that reflects the cities style through fashion for men and women. Akira offers denim, footwear and casual apparel by local designers as well as name brands such as BCBG. Asian Icandy offers unique Indie fashion clothing and accessories. Includes a selection of handmade, one-of-a-kind treasures, vintage pieces and high fashion from China, Japan, Korea and more. Black Milk Clothing is a unique online dancewear retailer. Black Milk offers stretch pants, leggings, and dancewear dresses in eclectic patterns and bold colors. Coal N Terry Vintage offers fashionable clothing for young women. Coal N Terry Vintage carries custom studded shorts, denim vests and vintage separates. Gypsum Style is a hidden gym in women's retail apparel. Gypsum Style carries custom pieces, re-worked vintage styles and overseas designs. © 20132019 Shop Sleuth All rights reserved.